I have a friend who hates puppies. True story. She hates dogs, actually, which is just weird anyway. One day, I asked her, "Okay, you hate dogs. I can kind of get that. Some people are scared of them, or were bit by one, or whatever. But what about puppies? Cute little wiggly puppies with waggly tails and puppy kisses." "I hate puppies, too," she said. Just like that. "I hate puppies, too." I have a friend who hates Harry Potter. The whole franchise. There is not one thing she likes. She read part of the first book, and put it down. She felt that the whole first half of the first book glorified child abuse. And yeah, I get her point. If you look at it that way, Harry is abused by the Dursleys, and honestly? They don't really get their pay back for the twelve years of abuse. "But the book is about so much more than that," I told her, trying to get her to read on. "Oh, I know--there's magic and Hogwarts and shizz," she said. "But I don't really care about that." MAGIC AND HOGWARTS AND SHIZZ BUT I DON'T CARE ABOUT THAT. My own husband hates chocolate. I didn't find this out until after we were married. That's the kind of thing that should be discussed, I KNOW, but it didn't even occur to me that anyone COULD hate chocolate. He's not allergic. I have a friend who's allergic to chocolate, and that's bad enough. But the husband? He just doesn't like it. And I'm married to this monster, y'all. There are people in the world who hate bacon. Seriously. Not for any religious or ethical reason. They just think it doesn't taste good. There's a Facebook fan club that is just about hating bacon. There are 28 members (SO FAR) and they have BADGES. According to one online source, 11% of America's population HATES BACON. My point? 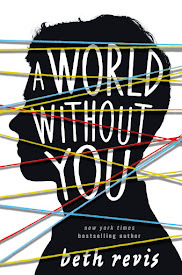 If there are people in the world who hate puppies, Harry Potter, chocolate, and/or bacon, then there are people in the world who hate your book. Put in that perspective, things aren't so bad, huh? And if a negative review really gets you down? Here's what to do: think about your absolute favorite book of all time. We all have one. A book we love, one that's practically perfect in every way. Got the book in mind? Now go to GoodReads. Look the book up. Filter the reviews for 1-stars (because I promise you, it does have one stars). And smile. Because if people can rate your favoritest book in the whole world with one star, then of course people can rate your book that way, too. Harry Potter and the Prisoner of Azkaban (my fave of the series) has 2,843 one-star reviews. A Wrinkle in Time, one of the best science fiction titles for teens and young people, has 4,359 one-star reviews. The Hitchhiker's Guide to the Galaxy, which is funny and insightful and a classic, has 11,212 one-star reviews. Eleven thousand, two hundred, and twelve. Hamlet, written by Shakespeare, arguably the most popular work by the most influential writer in the English language, has 2,198 one-star reviews. King Lear, my personal favorite Shakespearean play, has nearly a thousand one-stars. Okay, okay, okay. We can all agree that some of those above titles might have elements that some people don't like. But who can dislike a classic children's picture book? 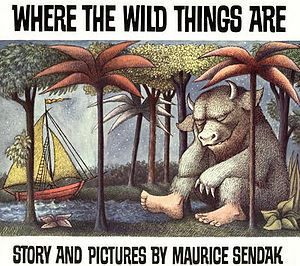 Let's say...Where the Wild Things Are. I'm not sure, but I'd wager that's the most popular children's book in America. And it has over 2,000 one-star reviews. Curious George? Nearly 1,000 one-stars. The Cat in the Hat? Over twelve-hundred. If there are people who hate these books, there are people who hate yours. Go pet a puppy, eat some chocolate and/or bacon, and read your favorite book again. Things aren't so bad. People are just weird different is all. To share this post anywhere on the web, just click on the green button to the left. Well done. Such a fabulous way to think about ALL the negative feedback you get in life. If it helps... of those books you named I only really like one of them, sort of. Well, I'll read Hamlet when I'm in a bad mood, but it's not my Go To Comfort Book. I hate the rest, especially The Cat In The Hat. It's creepy and scary and cruel and I hate it! I'm not a Harry Potter or a puppy fan either. And it really depends on the bacon. I've had some terrible bacon before. But I like your books! I love this! Wonderful advice. With so many authors raging against goodreads and fighting over Twitter, this is a breath of fresh air. Thank you for being a role model, Beth! I love this post and will it share it all over my corner of the universe. Just kidding. I'm with you on everything but chocolate (love Bacon, Azkaban is my favorite too, etc). It's not that I hate chocolate, but I have sensitive teeth, and sugar hurts. I guess that's not the same, is it? This is my view too. I do exactly the same thing - go and browse one-star reviews and think, see, everyone hates something. SO it's got to be my turn eventually, right? What a brilliant response! "Horses for courses" as my mum would say. A refreshing viewpoint Beth. Beth! I love this post! THANK YOU! Goes to show. I do not care for Harry Potter, but I have a daughter who loves it. I like chocolate, but have two siblings who do not care for it. As the old saying goes, different strokes for different folks. Best, and keep on blogging. I usually check to see what other books reviewers have given 1 star, and often I will see some of my favorites there. After the initial shock wears off, I shrug and think, "Well, if they hated that, then of course they wouldn't like my book." And then I move on. I love everything about this. And I like all of those things. I am SHOCKED that you are married to such a monster. On the plus side, you never need to worry about him raiding your chocolate stash. My thoughts on this: If you're an adorable country veterinarian, most people will feel like jerks giving your book one star. Get on that, authors. Also, who doesn't like Anne of Green Gables? I love this perspective. I'll tuck it away in a safe place and remember it in the future. You are wonderful and wise. Puts it all in perspective, doesn't it? great post! I don't know how anyone could hate YOUR book, Beth. I just finished it and my gosh, I couldn't put it down. I've noticed on Goodreads how everything has a wide variety of reviews so no matter what, like you said, someone out there isn't gonna like it. But that's okay because if we all loved the same things, the world would be a boring place. I love the heck out of this post. This might be my favorite blog post of yours. I love the way you take something that could be so damaging to some people and make it something worth really exploring. Awesome! Perspective is always a good thing. It is always such a novel experience meeting someone with entirely different tastes. A bit of an eye opener to all the possibilities. My bacon feelings are rather complicated. There is nothing so tasty as brown sugar peppered bacon. But try as I might I can't seem to make it without burning it. So bacon hates me and I in turn dislike its smell. Does anyone else out there notice how long that cloying bacon smell stays in the house? Forever. I didn't like chocolate for a decade due to an abundance as a teenager. You are thinking there is no possible way to have too much chocolate. It happens. Dogs are just plain annoying. I can't walk down the sidewalk of my neighborhood in peace. Nope, every darn dog has got to take exception to my stroll. I hated The Cat in the Hat as a kid! It made me so anxious. Chocolate-covered bacon: a fun reading time snack! It's me. I hate those four things. Okay, not really. Some of us just like to be contrary. Great post. This is one of the best, most helpful blog posts of ALL TIME. Bookmarking it and retweeting it. LOVE. Thanks so much! 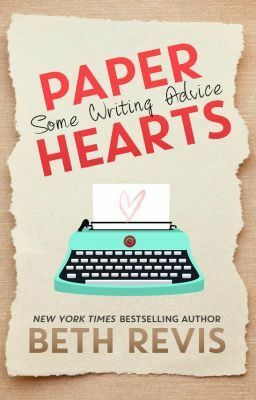 This just ought to be required reading for all new authors. Yeah, plenty of us *get* this, right out of the starting gate, I know that, but if ALL of us realized it? How much happier would authorland be??? No more drama-llama crap! It would be AWESOME! But anyway! I agree with Shiloh - this needs to be required reading for every debut author. Excellent post. Haters gonna hate. Me? Imma go snuggle a puppy! Excellent post. Thanks, Beth! What a lovely post. Thank you! What? Puppies, chocolate, bacon? Who is these people!!?! This post should be required reading for authors. Really brilliant perspective. Now I'm off to GR to see how many 1 star ratings my favourites books have. Not liking puppies is one thing. Harry Potter? That takes it up a whole nother notch. Add chocolate and bacon to the list? Sacré bleu! WHO ARE THESE PEOPLE???? Aside from all that nonsense, and the people that decide they don't like your books - well, there are so many wonderful people that do. And that right there, makes all the difference. I love this post! I need to keep it handy-lol. I have a friend who hates pizza! She says all the gooey cheese is gross and then with the sauce, yuck! Really? Gooey cheese and sauce? Is she crazy? I'd hate it if I had a pizza without gooey cheese and sauce! This is EXACTLY what I do when I get a negative review. If Harry Potter and Laurie Halse Anderson get one-star ratings, then of course, I would too. It's all about perspective. Great post, Beth! Love it. Puppies and chocolate and Harry Potter, though? Some of my favourite things. It's a good point, one I'm trying to take to heart. Just published my first book and had to pep-talk myself by writing a blog post about how to handle negative reviews. =) If you are interested you can read it here: http://jodimcisaac.com/how-to-handle-negative-reviews/ Thanks for the great post! I find it easier to just go with, there are many people in this world with either no taste (buds or any other way you want to look at it.) or that they just want to annoy others. This is a great post! You're so smart. But seriously?? You told EVERYONE I HATE PUPPIES??? Hahaha. There are people who hate A WRINKLE IN TIME? I don't want to know them LOL. Great post. Heck, I'll do the GoodReads Feel Better thang for a 3-Star review. I'm not proud. Well, maybe a little. My sympathies on the no-chocolate-eating spouse. I'm allergic, and I eat it anyway! Good post. I hate your blog design, though. It's slow to load, but worse than that, I'm seeing dark purple text on black and it's completely illegible unless I highlight it. (IE8). I understand about the husband not liking chocolate....mine doesn't like peanut butter....crazy, I know. Clever post! It definitely put things in perspective (and put a smile on my face). Thank you kindly for sharing (and it's a pleasure to 'meet' you). Amazing post, Beth! Thank you so so SO much for sharing, especially in light of all the recent blogger/author/goodreads drama. And just when I thought it wasn't possible for you to be any more amazing. Great post! I immediately navigated to the site your provided and followed your advice. I think it's definitely important for people to remember that even the most successful authors/people are criticized for their work. I will be linking this post on my blog. Thanks! Wow. So true. I went and looked up To Kill A Mockingbird, which had almost 20,000 one-star reviews, and many of them contained gems such as how the trial is boring because nowadays we'd have DNA evidence. If that doesn't make you feel better about bad reviews, I don't know what will. I hate cheese, which shows people are complex with various tastes. This is a lovely post that shows that not everyone is going to love what you love but I think I really like that because when you do find something you adore it feels like a treasure hunt where you've discovered something no one else will ever fully understand but you. Thanks for putting it all in perspective. You rock my world. That was awesome, clever and insightful. Well said chicka!!! I just received a one star and nasty review the other day for my romance story Fat Chances and I felt it was personally written to me. But I kept my chin up and shrugged it off and thought about all the other fans who love my story. I think I was the few people in my class that liked A WRINKLE IN TIME back when a read it. I grew my thick skin for reviews a long time ago! This does put things in perspective. 3 is my least favorite in the series. It would be 4 because it drags on so in the beginning. But the fireplace scene makes up for a lot. 5 is my favorite even though it's dark, but especially because it's dark. I know people who don't read reviews. If/when I'm in that position, I hope I can avoid mine as well. Thank you so much for the perspective. I will definitely have to reread this post after my book comes out. Good point. I will try to keep this in mind as my manuscript makes the rounds in New York with my agent. So far one rejection and six more editors "thinking about it". Gah! This is all very wise. But, I'm so glad that there are others out there that think that Azkaban is the best in the series. I'm truly with my people. I wouldn't say I *hate* dogs, but I certainly don't love 'em :) Or even like 'em, really. They're annoying and gross and yeah. But then I have met dogs who are just lovely. Mostly 'cause they're SO well behaved, and never lick me. I hate dogs that lick and sniff. Urrrgh. I want to print this and frame it and look back at it every time I worry what someone thinks of my writing! Love this idea for taking negative reviews on your book(s). But... My favorite book, In My Enemy's House by Carol Matas, only has 2 one-star reviews. Just 2. And one of them doesn't even have a comment attached to it. I love this post so much. Thank you! There are people who hate bacon? Who aren't like vegetarians against cruelty to pigs and the like? I'm so confused by this news. Negative reviews are definitely hard to swallow, but your article puts it in perspective. When I've gotten a negative review, I have looked at my favorite authors and their negative reviews and feel somewhat better. Or even better, I drink a glass of wine. What a great way to think about it. You inspired me to blog about your blog on my blog! A-men! 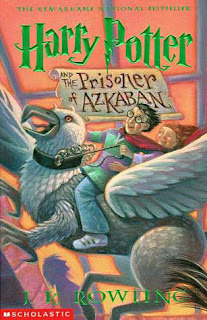 *goes off to pet chocolate puppies with bacon breath (the puppies - not me) whilest reading Harry Potter. Love it! I'm a new author -my first novel just went through the ARC review gauntlet so I am totally feeling you right now. I think someone created an account on Goodreads JUST so they could give me one star...their profile has no other activity whatsoever. (Yes, I checked...sigh) There are other reviews that make absolutely no sense but other than gripe to my wife, I don't acknowledge them because nothing good can come from it. Serenity now! You can't please everyone all of the time. People's tastes are far too varied for that. I guarantee that for every beloved [fill in the blank] out there, at least 5 (arbitrary number) people LOATHE it. Not just dislike, but utterly, angrily fume at the very notion of it. You need to print a shirt with those statistics. I would totally buy it. It would be my "writing Shirt" and I would dry my tears with it every time I got a one star review. Until the shirt thing is up and running, I will print this out and put it on the refrigerator. A little perspective goes a long way. Just spread this all over the place. Absolutely brilliant post! And what is up with those people who don't like bacon??? Love this post! And my hubby doesn't like chocolate either. Like you I never even thought it needed to be discussed. Not liking chocolate? That may have been a deal breaker for me, lol! soo true. very well put . I'm in customer service and as much as I go out of my way to help customers with their problems and questions, there's always going to be someone who will not be satisfied. They showed up with the chip on their shoulder and it was there long before I was able to do anything. so therefore, I choose not to take it personally. :) have a great weekend! This is such a clever post. I'm smiling now and will be when I see my next one star review. You truly can't please all the people. . . but this post certainly pleased me. This is such a great post! And every time I see someone talking about bad reviews, I can't help but pull out my copy of "Emily's Quest" by Lucy Maud Montgomery and show them the section where "Emily" reads aloud from some of the reviews for her book. LMM captured how totally diverse (and sometimes) insane reviews can be... and she wrote that almost 100 years ago. But I don't trust people who don't like chocolate or bacon. Just... can't. Great post which really puts things into perspective. I have a slightly different take on people who write negative reviews which might interest you. Well, using your friend that hates dogs to make a point, she just doesn't want to blur the line by saying she hates dogs but likes puppies. If it is not important to compromise no point compromising. Your response just joined Meljean Brooks response to author meltdowns as the bestest responses EVER to this issue! Brilliant! You ROCK! BTW...Love puppies, Harry Potter, chocolate AND bacon! I love this! Well said. It puts everything into perspective. Bad reviews are the reason for the invention of NEW-CUE-LER weapons! Hunker down, eat a bacon-wrapped, chocolate-dipped puppy and get over it. You have a really great perspective and attitude on this. :) Thanks so much for sharing. That's funny - I don't like bacon, and DH doesn't like chocolate! This is amazing. I think I have post envy (that is, I wish I'd thought of it first!). What an amusing yet well-balanced response to criticism! Thanks for the encouragement! :) I haven't published anything yet, but when I do, I will keep this in mind. I feel compelled now to write a series about a boy wizard who has a weakness for chocolate and a puppy as a traveling companion. I know a few people who don't like chocolate or bacon, and I'm not terribly keen on dogs. I've received a few of those responses from journal editors. I submitted those stories elsewhere and had them accepted somewhere else. @Darren: Will the boy wizard's quest be searching for a magic strip of bacon? This is priceless! I just published my first short story...maybe I should print this out and put it on my wall, eh? Your husband isn't the only man who dislikes chocolate. Men have different taste buds and tend to like bitter and salty flavors. Beer and pretzels is an example. Guess about women's tastebuds.... SWEET! You made me laugh and you're bang on. Well done! What a fantastic post. You really put things into proper perspective. Thanks! Going to link to this from my blog, if you don't mind. So glad I followed over here from Goodreads. Now, asking me to "review" or comment on your wonderful creation may not give you the response you'd hoped for. So, I would decline and explain why. I have come across people reviewing a genre they hate. In fact, this happened to me on my books maiden blog tour. Now, when you read the comment, it's actually quite good and the reviewer even "highly recommends” the book to sci-fi lovers…but in the end, she gave it 3 stars BECAUSE she hates sci-fi…. How many stars do you think I’d give your sushi? Now I am NOT saying never read (or taste) outside your preferred genre, because one day you might discover a new love. But, do take into consideration your position when you head off into the adventure. I have a post on the topic, (link provided) and if you’re feeling adventurous, you can find a post to “Blog Tour Etiquette”. Awesome post! Made me feel a lot better. Thank you for posting it! Brilliant! Helps put things in perspective. Want some chocolate, wrapped in bacon and attached to a puppies collar? I like the way your mind works!!! Thanks, this is a huge confidence booster. Yay for Harry, chocolate, and bacon! And my favorite book. Hate puppies??? What??? Hate my books??? What??? Okay, I don't get Harry Potter. My daughter loves it. I LOVE this! Thanks for sharing your thoughts! BTW...hate chocolate? Is he really human? I love this. Thanks for the perspective and reality check. This post was eye-opening! When put in that perspective, it's really not so bad. I always said that when you're a teacher or a politician, you can't please everyone. I shall add writer to that list---i just never thought about it that way. Thank you. This is the best post on bad reviews/rejection that I've ever read. And to think,someone out there hates it! Sorry to here about the pending divorce though - I mean how can you stay with him when he hates Chocolate? Seriously though, thanks for this. Sometimes we all need the perspective. Off to tweet this. This is one of the best posts on the subject of negative reviews I've ever read. I've been sending it out to writer friends all day, then it occurred to me that I should probably tell you. I saw it when someone posted it to the Science Fiction Brigade FB group. Thanks to them and to you! This is the best post I have read in a long time. Just goes to show that opinion is only that, especially considering all the comments so far. As an author, you want everyone to love what you have created, but that is simply not possible. I love most of the things that you mentioned. Harry Potter being my favorite in the list and chocolate, of course, but if I didn't, that would just make me different than you. Thanks for sharing your ideas and wisdom! I will keep this on my wall for sure! Terrific post!! I have stopped reading bad reviews, but this is what I do when I need a pick me up. I look at one star reviews for my favorite books. Well-written post. Thanks!! Love this post. You're so right. I have an upcoming book and I know they're be bad reviews. I'm sure there will be LOTS of them, but this helps me put the whole thing into perspective. Hugs. Yeah, you are absolutely right. One more thing. Apart from the star thing. If you let people use the star thing, they will, for good or ill.
Another thing which relates to this first thing. It's a total waste of time and energy to obsess over reviews. PW? That's a limited circulation magazine aimed at the professionals in the field, not readers. We should all stop obsessing and go. Write. another. Book. Wonderful post, Beth, and the funny thing is that I recently came up with the exact same idea. I was devastated when I received a 2-star review of my new novel, naively expecting that EVERYONE would love it. So I decided to look up my favorite novels on Amazon and, sure enough, they all had loads of 1-star reviews. Even To Kill A Mockingbird! Even Catcher in the Rye! And as I read these reviews, I was startled to find that some of the reviewers made valid points. Holden Caulfield CAN come across as a whiney, spoiled brat. Catcher in the Rye has very little plot--hardly anything HAPPENS. So, I came to see that you can look at anything in this world from a 1-star or 5-star perspective. Both perspectives have validity, and it's all in the eyes and heart of the beholder. Does this mean negative reviews are no longer hurtful? Not really. But, I'm taking them less personally and with a greater sense of detachment. What a terrific Blog! I wish I'd written it! Another thing if your a romance writer all you have to do is read some 1 star reviews of Nora Robert's books on Amazon.com. I <3 you. Such a fabulous post! A great post - now can I have your husband's share of the chocolate? Wow! You're SO right! I don't write, I sell. And sometimes, people are just unhappy with their purchase. Nothing wrong with the item, they just don't like it. Your article can apply to just about anything we do in life. Thank you so much! You are right, there is one hater in every crowd. I've been seeing it as I check out books on-line that there always seems to be at least one who will hate that book. Yeah, writers just need to shake it off. Do you read all these? Wow. You touched a nerve. It is a matter of taste, is it not? People have their own attitudes...King Lear...one star...ha, ha. That puts Shakespeare in his place, does it not? Too bad the reviewer can't read the language...and needed a tutor to understand the play...or whatever. Don't mean to be critical. I taught for years. Was shocked when a student told me they didn't like Shakespeare's sonnets. This young girl thought her poems were better. She said it matter of factly...it was a truth to her. Some people will never try Chinese food or sushi for that matter. I am more adventurous. I so appreciate what you have included. It is uplifting to all writers...Thanks. I joined your blog because I wanted to. Give a holler if you can. Would love for you to join mine via Google friend connect also. I think you've fixed my paranoia about bad reviews. I'm digging through Goodreads and am horrified by the one star reviews for fabulous stories. I want to weep for people who are so clearly incapable of having their eyes opened by the written word. For those who are currently experiencing a great ordeal on bad reviews (be it books, online biz etc.) you can check out http://www.cleaninternetreviews.com/. There is no upfront fee required. Hmmm... your friend sounds like such a 'delightful' person. Granted, if the extent of Harry Potter's abuse by the Dursley's was only what I and my brothers and sisters suffered for years as kids, we would've been in heaven. However, I can't understand how child abuse could ever possibly be 'glorified' - a statement, especially in connection with a book like this, that I think is absolutely ridiculous. What... is everyone and everything in fiction supposed to be perfect? After all, abuse is simply relative, coming in many forms, just as bad whether a child sleeps in a cupboard under the stairs, or gets whipped naked with a hose or wakes up to a beer bottle being broken on their head. But what bland reading that would be if we didn't make mention of what goes on in real life in fiction. Perhaps we should pull apart Dickens books too? Any amount of books, for that matter, with any kind of abusive relationship, regardless of it being integral to the storyline? Regardless of it being what really happens in life - regardless of the level of abuse? Personally, I can't stand people who say they hate dogs, seconded only by my dislike for literalists in otherwise obvious situations, and whom, I feel; very often are reflecting something of their own inadequacies, usually, their approach about something else entirely, in my experience. Each to their own, everybody's a critic, sure enough; as you say; it means absolutely nothing. Some people hate good books, some people hate puppies - who knows why - but that's their problem, maybe they don't even know? Just have trust in yourself, know your own potential, and know that you can't please all the people all the time - as they say. Apart from the part about your friend - the thought of whom left a taste other than chocolate in my mouth - I enjoyed your blog post; informative and backed up with figures - encouraging words to many, as we see here, I'm sure. It really is all relative. Thank you for putting it in perspective. There's a restaurant within walking distance of my house that serves chocolate dipped bacon. That was great. My husband hates cheese and i'm married to that monster. This just made me happy. And today I ate both bacon and chocolate. So fitting. Now where can I find me a puppy? I just read this! What a great post. Negative reviews don't bother me until someone makes it a personal attack. There's no reason for that type of response. But after reading your blog, I've decided those unfriendly readers probably don't like chocolate, puppies or Harry Potter, either! Thanks for sharing. This really puts things in fabulous perspective. Thank you. This puts reality into perspective. Thanks for writing it! And may I just add: I HATE CHEESE! Haha, This is great, and so true! I know someone who doesn't like movies. Seriously. I was like, "You've never in your life seen ONE movie that you enjoyed?" And he said no. Unreal. I've been writing for a long time, so I've got skin like, a foot thick. If someone hates my work, I say let it rip! I'd much rather someone hated my book than didn't it read at all. I found this link on Author Central and absolutely love what you wrote, so now I am a new follower. 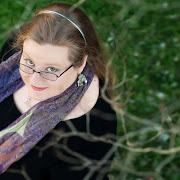 I found your blog through Elizabeth Craig's Twitterific, and I just love your voice and writing style--and this post! Had me laughing, and I read A LOT of writing blogs, and it's the very rare one that makes me chuckle. Thank you for that! A) I'm not a dog person (they bark, slobber, sniff crotches and on occasion bite). B) I didn't hate Harry Potter but neither did I like it enough to read past book two. D) I like the taste of bacon, but as a vegan, compassion to animals is more important to me (even though I'm not a dog person!) so I don't eat it. So you've named four things I don't have or consume!!! But speaking as a writer, the one I always think of is Shakespeare. He was the best writer who ever lived, and still I've known people who dislike his writing. I don't get it, myself. Shakespeare! I also know people who don't like poetry. Any kind of poetry. Poetry! How can anyone dislike it wholesale? But they do. I review for a popular romance genre blog. Today I'm giving a DNF review to a huge bestseller in the genre. It's only human to dislike something others love. My favourite book of all time, Pride and Prejudice, by Jane Austen has over 16k 1 star ratings on good reads. Way to put things in perspective! Wonderful blog. I get down about 1 stars once in awhile even though I know I shouldn't. Your blog is most definitely shared. Guess I should stop whining about those 3-stars on Goodreads! As a book blogger I see people constantly hate books I love and me hate books that others love. Great post. I love your way of thinking! I was just reading home direct reviews and I was getting mad because I have used them more than once and never had a problem. I swear, people only make negative comments. Very rarely do you find a positive review. By the way, I love puppies, chocolate, Harry Potter and bacon! Thanks for the wonderful and humorous advice! I'll definitely keep that in mind! I love this take on looking at reviews. I was really down when I got my first negative reveiw but just like you say, people are weird, no sorry, I mean different. Hey, I don't like Ketchup or mayonaise!!! I just got my first negative review over at Goodreads and was wondering whether or not I should respond to the reviewer. So, I decided to consult the Internet re the matter and came across this blog post. It made me feel a lot better about my 2-star review. Thanks for that. Am so grateful that i met a spell caster online whose email is vudoospell@gmail.com that cast a spell for me that finally reunited me and my husband back together. I tried many other spell casters, they all took my money and never did anything for me, but this last one i gave a try worked just as i wanted it. I loved this post. And you are soooo right. Very well said. I've stopped paying attention to people writing 1 star reviews when I am trying to decide what book to buy. It's easier to be a critic than to write a book. doing any unique trick. In addition, The contents are masterpiece. you have done a wonderful process in this subject! correctly. I had been wondering if your hosting is OK? intriguing content. Ensure that you update this again very soon. Really no matter if someone doesn't be aware of after that its up to other visitors that they will assist, so here it takes place. When I originally commented I seem to have clicked on the -Notify me when new comments are added- checkbox and from now on whenever a comment is added I recieve four emails with the exact same comment. this page "How to Respond to Negative Reviews". brain dead visitors? :-P And, if you are writing at additional online sites, I'd like to follow you. Could you make a list of all of all your social community pages like your linkedin profile, Facebook page or twitter feed? blogger if you aren't already. Cheers! Excellent article! Words to remember when my 2nd draft comes back from the reviewers. I’m going to go enjoy some chocolate bacon Harry Potter puppies and wait for the bleeding red reviews. "Puppies and Dogs for Sale"
"List puppies and Dogs for sale"
"Sell Puppies and dogs online"
This is such a fab post. I had to share on Twitter...thank you! Seriously, what is wrong with these people (no offense to you husband, but really)?